Come ask questions about the monthly book club, grab a copy of the reading list, flip through the books we will be reading, and vote for one you want to add to the list. Schedule of meetings for the year. Book club open to all! 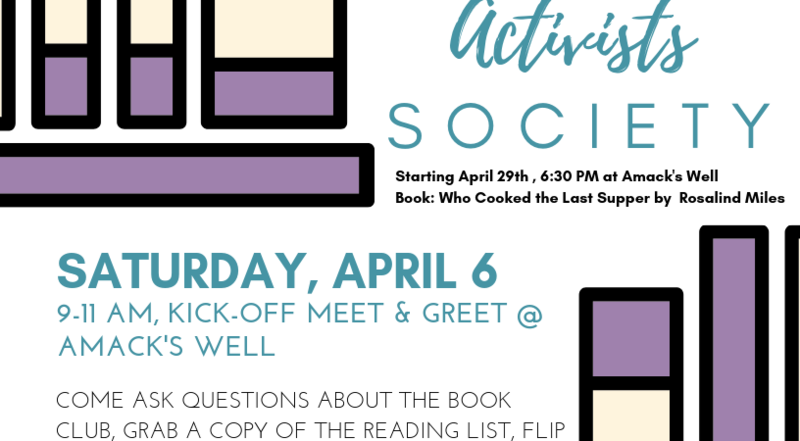 Authors and Activists Society is a book club started by Tory Flynn in conjunction with Safe Place Sexual Assault Center: A Division of Safe Passage, Inc.. There will be facilitated discussion about books with topics including women, religion, sexual assault, advocacy, and activism.